The Committee said that the outlook will "continue to depend significantly on the nature and timing of EU withdrawal".
" Any movement today would have been unthinkable on the day that Theresa May travelled to Brussels to seek an extension to the chaotic Brexit process." The Bank of England’s Monetary Policy Committee have voted unanimously to maintain Bank Rate at 0.75%. 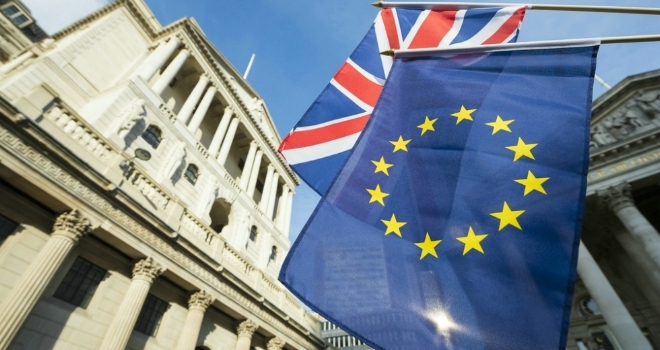 The Committee said shifting expectations relating to the UK's withdrawal from the EU have "continued to generate volatility", with ongoing uncertainty affecting confidence and short-term economic activity, notably business investment. In its minutes, the Committee said that the outlook will "continue to depend significantly on the nature and timing of EU withdrawal". The MPC added that the figures in its February Inflation Report "appear on track", showing a weaker near-term outlook this year. Frances Haque, Santander UK Chief Economist, commented: “The decision to hold rates was widely expected by both the market and commentators, given the continued uncertainty around Brexit. “The economic data published since the last MPC meeting is broadly in line with the Bank of England’s February inflation report forecasts. Given this out-turn the MPC continues to remain cautious in its approach, wanting to wait until the outcome on Brexit is known before raising rates further. Alistair Wilson, head of retail platform strategy at Zurich, said: “A flurry of positive economic data would usually signal movement from the MPC and savers would be celebrating a rate rise. However, with the country facing further Brexit delays and uncertainty, the Bank of England’s decision is of little surprise. "It will be well into the summer months before we hear any fresh rumours of a rate hike." Tom Stevenson, investment director for personal investing at Fidelity International, added: “No change to interest rates was entirely predictable. Indeed any movement today would have been unthinkable on the day that Theresa May travelled to Brussels to seek an extension to the chaotic Brexit process. In the absence of the fog lifting on our relationship with Europe, and with the Federal Reserve now clearly on hold, it is hard to see rates rising at all this year. “There is certainly no economic imperative for the Bank to change its cautious stance. With inflation below its 2% target, the pressure is off. The only way that interest rates would rise this year would be if MPs agreed a deal and there were a material relief pick-up in the economy. Even then, a rising pound would likely bear down on inflation so ‘lower for even longer’ it almost certainly is."